The Butterfly Tiago Apolonia TAX3 table tennis bat has been designed with intermediate players in mind, and ensures a potent combination of speedy manoeuvrability and equally good spin potential. The bat is endorsed by a talented Portuguese table tennis player Tiago Apolonia, and features an anatomic shaped handle which is super comfortable in hand, and it basically transforms the bat into a high control game-changer. Furthermore, the bat is made with a 5-ply wood blade coated on both sides with Butterfly red and black Pan Asia ITTF (International Table Tennis Federation) approved rubber – 1.5mm thick. This bat provides an incredibly smooth motion during fast rallies, and it comes with an edging tape for extra safety and protection from minor damage. for submitting product information about Butterfly Tiago Apolonia TAX3 Table Tennis Bat We aim to answer all questions within 2-3 days. 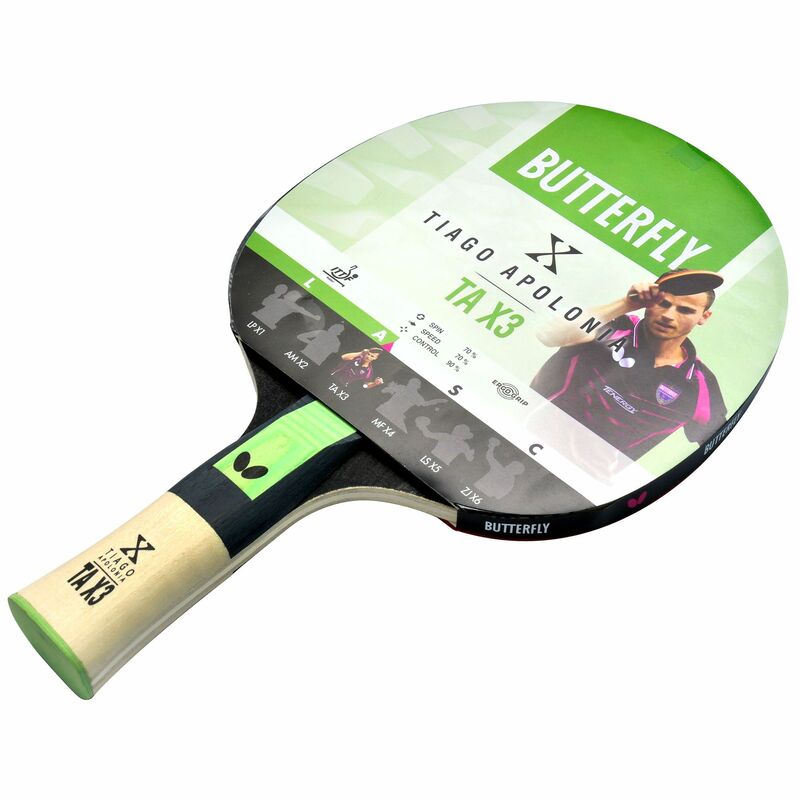 for submitting product information about Butterfly Tiago Apolonia TAX3 Table Tennis Bat. We aim to answer all questions within 2-3 days. If you provided your name and email address, we will email you as soon as the answer is published. for submitting product review about Butterfly Tiago Apolonia TAX3 Table Tennis Bat.